There are hosts of insurance products available to meet such needs. Equally important is the amount of sum assured. Unlike developed countries, most Indian don't pay much attention to having an adequate insurance cover. Individuals need insurance to protect them against the risk of dying early, risk of living long, risk of surviving a dreaded disease, risk of living with total and permanent disability, risk of high medical expenses, so on and so forth. 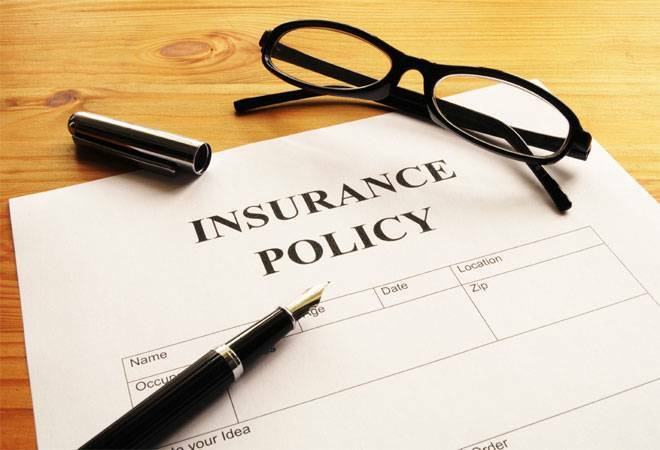 There are hosts of insurance products available to meet such needs. Equally important is the amount of sum assured. Unlike developed countries, most Indian don't pay much attention to having an adequate insurance cover. As per the available public data, life insurance accounts for only 19 per cent of total household savings. Further, life insurance penetration in India is merely 2.72 per cent compared to 3.74 per cent in Asia and 3.99 per cent in Europe. Globally, the average rate of life insurance penetration is 3.47 per cent. Insurance density (premium per capita) is another measure of insurance purchased in a country. Life insurance premium per capita for India stood at $46.5 as against $229.5 for Asia and $961.9 for Europe. World's average insurance density stood at $353, which is about 7.5 times the life insurance density of India. This clearly reveals that we as a community are underinsured. More needs to be done to increase awareness about life Insurance. In case you are thinking that the under-insurance is because of the rise in the rates of insurance premium, then you are wrong. Industry estimates show that in the last four years, the rates of premium have increased by a mere 3-to-4 per cent with a CAGR of 2.79 per cent for sum insured of Rs 2-3 lakh and 3.29 per cent for Rs 5-10 lakh. So what is the actual reason? The main reason behind the insufficient amount of cover is that people haven't revised their health cover or term insurance that they have bought. And in case of coverage sponsored by employers, it has stagnated. Industry estimates show that Indians who are full-time employees in a company are of the notion that the coverage that they receive under the company's group scheme is sufficient. As a result of this, they have ended up paying hefty medical bills whenever they have experienced a medical emergency. While the statistics show that 22 per cent of India's population is insured, it is majorly on account of the different government schemes. The harsh reality is that only five per cent Indians are insured. Out of which, two-thirds are under-insured. In recent times, the minimum expense of a major medical procedure is Rs 3 lakh in private hospitals and if the hospital is a corporate one, the cost will only rise higher because of cross-referrals and multi-disciplinary treatments. The same study also shows that in coming times, the healthcare costs are bound to catch up with other developed foreign countries. It also shows that the percentage of the claims reimbursed or paid vis-a-vis the amount of the medical bills is falling, especially when it is above Rs 3 lakh. Life insurance protects and provides financial relief for those who need to carry on without the person who's moved on to other realm " Life insurance is an expression of love and care for your family "
Is Life Insurance from your employer sufficient? It is noteworthy that about half of the working population is self-employed and there is about one third of working population who are casual / contractual workers. Such self-employed and contractual/casual workers may not necessarily have any formal insurance and therefore are likely to be significantly under-insured. Repay debts, such as car loans, home loans, personal loans, educations loans, Credit Card dues, etc. Under employer-employee Group Life Insurance, most employers provide an insurance coverage of roughly equal to one time annual salary. A few employers provide higher coverage, say up to three times the annual salary or some other graded sum assureds. How much Insurance should one take? Every individual has a different family status and financial responsibilities, which impact their insurance needs. The rule of thumb is to take insurance coverage, which is sufficient to repay all your liabilities and debts. You should have enough cover to secure future costs that your family will need to incur. Be mindful to include inflation over the next 15-20 years. You may also want to take into consideration existing wealth (without any lien) that you have built, which if required, may be disposed of by family. It may not be appropriate to consider your home as wealth, because the family will require it to stay. The employer-employee coverage is available till the time you are in employment. The cover will expire as soon you cease to be in employment. Therefore, it is important to take additional coverage in form of independent individual life insurance policy for appropriate sum assured. You may like to check with the same life insurance company, which has covered you for the group employer-employee cover.